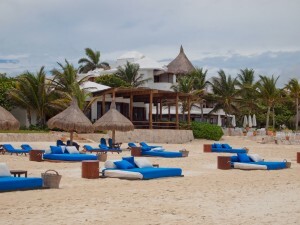 From the moment clients are greeted by the transfer attendant at the airport, board a leather-trimmed SUV and are handed cold towels and bottled water, they will know that their guest experience at Maroma Resort and Spa, located on Maroma Beach in the Riviera Maya, will be superlative. It’s the small touches that define a true luxury property’s service, like the soothing guitar music that starts to play as the driver whisks them away and, then, the personalized greeting at the hotel’s understated lobby entrance. Combined with exquisite cuisine, extensive wine and tequila offerings and a breathtaking beach, it’s no surprise that Maroma has drawn in celebrities, politicians and everyone in between. Even standard rooms offer unique features and amenities. Balconies and terraces, most with hammocks, seem to bring the ocean into your client’s rooms. Three different kinds of handmade soaps and an aromatherapy set are just some of the fine touches. And, while upgraded amenities are to be expected in five-star luxury properties, Maroma offers guests use of a digital camera during their stay. When clients are ready to go home, the staff will burn the pictures onto a CD as a courtesy. The bathroom features custom handmade tubs, and no two are alike. Designed and built by three generations of local masons, the tubs come in all shapes — from ovals to octagons. The resort’s signature accommodations are the Sian Nah one-bedroom oceanfront units. 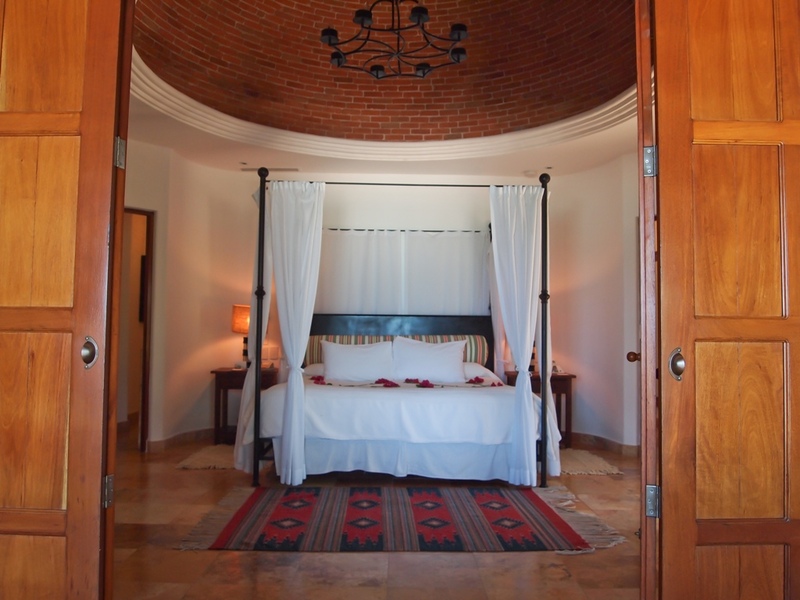 Nine luxurious suites offer two floor plans, which feature an immense balcony/terrace with a plunge pool. A large living room area, a separate enclosed private workout room with an elliptical machine and an in-room massage treatment area make up the space. A flight of private stairs leads to the unit’s massage room, which is located in a thatched roof tower that offers breathtaking views of the ocean and jungle. The downstairs Sian Nah layout offers a private palapa a few feet outside the expansive terrace. Downstairs, the plunge pool is larger, but the views of the ocean are not as dramatic as from upstairs. For the ultimate in exclusive luxury, book clients in Villa Carolina, an enclave of rooms with a private beach and secluded access. 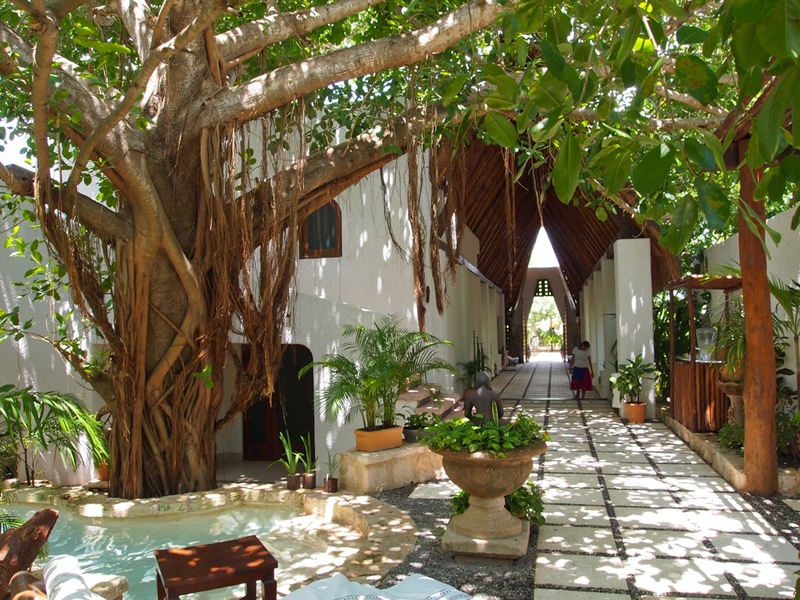 The resort’s Kinan Spa is open to all guests, even those who haven’t booked spa treatments. Make sure to recommend that your clients try the cool plunge pools offered alongside traditional steam and sauna in the separate men’s and women’s sections. An open-air layout of paths meanders through mangroves and sculpture fountains with cascading waterfalls from more than 15 feet high. The main building is lightly enclosed with cathedral ceilings forming an A-frame thatched roof almost four stories tall. Kinan manages to feature all the amenities of larger spas while maintaining an intimate and exclusive retreat ambience. The spa’s signature treatment is the Kinan Ritual, a truly unique superlative experience. Two therapists work in synchronous harmony, first applying a body treatment, then a massage. Steaming hot towels are prepared with special herbal infusions that wrap and cocoon the body. The steam and herbs open the pores and pull toxins. During the entire process, a delicate and refined attention to detail ensures that clients are not overheated, as therapists offer and apply cold towels to the face and head to help cool off while still steaming the skin. After the herbal cocoon, the treatment continues with a honey and salt body scrub that exfoliates and renews the skin. 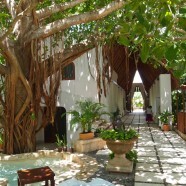 A quick shower in the private treatment cabana is followed by a special tea rinse that a therapist pours over the body. The two-hour Kinan Ritual culminates in a hand massage that works away every ache. Most spa treatments end with the resort’s signature herbal drink: Chaya, a mild Maya plant similar to spinach, mixed with pineapple or other juices. My experience was, without question, one of the most rewarding spa treatments in years. Though the treatments are inventive and incorporate Maya themes and global techniques, it was my skilled therapist who, with over two decades of experience, ensured a great and productive treatment session by being genuinely concerned about my well being. Breakfast, even an extensive room service breakfast, is included in all room rates. Room service breakfast offerings run the full range from healthy (fruit, cereals, yogurts and juices) to hearty (eggs and traditional Mexican offerings). Recommend the motulenos eggs which combine fried eggs, cheese, ham and peas over tortillas, garnished with a red salsa. In-room dining offerings are tasteful, simply presented, arrive timely and are made with quality ingredients. Lunch features mainly light and tasty salads, pasta and sandwiches. The arrachera steak is worth ordering for its homemade chimichurri dressing of herbs and flavored olive oil. For more variety, El Restaurante’s lunch features authentic Mexican haute cuisine including food presented on heated stone platters on a wooden tray, ceviches served surrounded by crushed ice to keep the temperature just right and traditional guacamole made with avocado, onion, cilantro and lime. On barbeque night, the culinary staff prepares meats and seafood under an open sky and over open flames. This night’s dinner is on the beach — for just two or an entire party. Clients can enjoy an alfresco experience under the stars, on the sand and nearer to the sea. Delectable dining includes healthy salads, grilled meats and fish and very impressive lobster options. Desserts, including homemade ice cream, are made from scratch and are of the finest ingredients. For other nights of the week, El Sol mixes up tapas-style plates with brasserie courses of steaks, seafood, fish and fowl. By far, the most impressive culinary adventure is the chef’s table, where themed courses are specially prepared and paired with wine and spirits. My five-course menu, for example, featured the chiles of Mexico. Every dish, such as the complex duo appetizer of Xcatic stuffed with shrimp and tamarind and chipotle with goat cheese tomatillo and dry figs, features chiles. Even the simple, yet decadent chocolate fondant with honey and cinnamon uses the pasilla chile. Another unique experience is the executive chef’s afternoon cooking demonstration and tequila tasting class. Guests can interact in an intimate small group setting outdoors, with the Caribbean as the backdrop. Courses are prepared step by step, with colorful commentary. As each course progresses, the resort’s tequila master guides participants in the etiquette of proper tequila tasting, together imparting a deeper understanding of the food and drink of Mexico. From the onset, I had wondered how this Caribbean resort would live up to the legendary hospitality and class of the Orient Express name. I arrived with very high expectations, and left satisfied with Maroma’s embodiment of true luxury, practiced through the genuine anticipatory service of its staff. From the grandiose to the minor details, every aspect is executed flawlessly like few resorts or hotels around the world can. First published in TravelAge West magazine, October 29, 2011.